Don't make the trigger angry. You wouldn't like it when it's angry. So we want to be trigger happy? 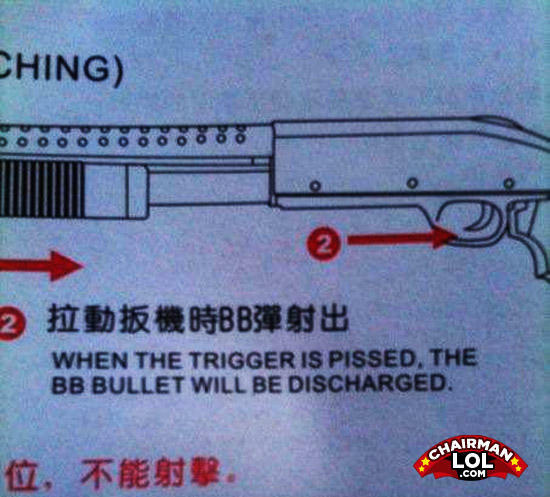 Yeah, piss me off, and I will discharge a bullet too.